Goal; About 500 RELIABLE rear wheel horse power. 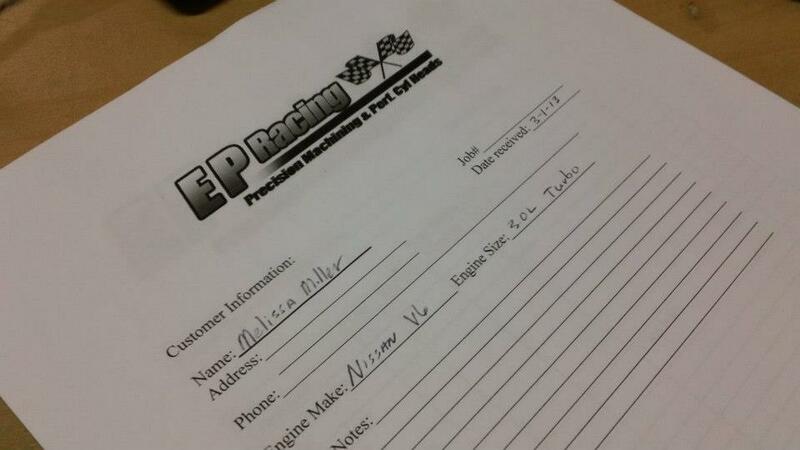 EP Racing receives the goods! Almost Finished! Motor Build Sexiness! More Pictures as the motor build continue! I’m glad you did not get up on the 300zx and the Vg platform Melissa. what are you using for angle modifications? I’m running modified steering knuckles on my Z done by a friend of mine in Missouri. I could never give up on it! I eliminated the bump stops and added a steering rack spacer for extra angle. didnt you try godspeed turbos for awhile? what turbos are you running now?